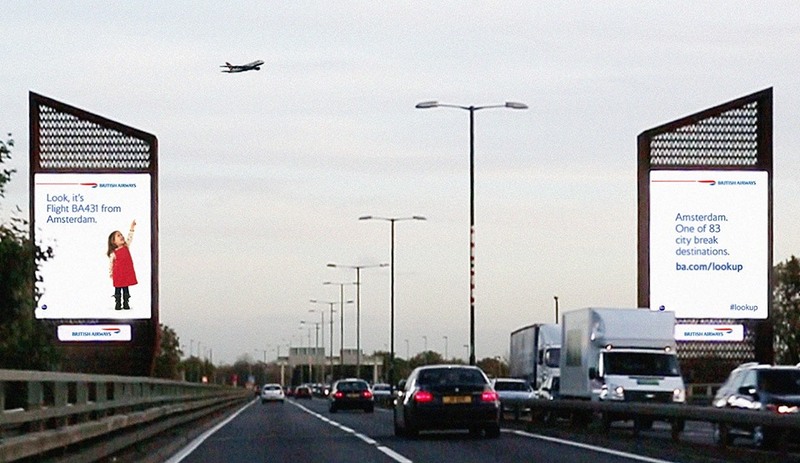 The digital signs reveal an image of a child pointing upwards when an aircraft flies over it. British Airways worked with agency Ogilvy 12th Floor to install new digital billboards that interact with the planes flying over them. 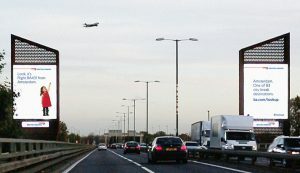 The digital billboards use custom-built surveillance technology to detect planes flying overhead and change the current digital display to that of a child pointing at the plane. The billboards also display the plane’s flight number and route. The ads are part of the airlines’ “Magic of Flying” campaign, which aims to remind people of how magical flying can be, especially from the eyes of a child. According to Abigail Comber, head of marketing at British Airways, the digital billboards are a first for the company and for UK advertising, too.